Cyndee Owens, Ridgeview Elementary School secretary, poses next to the multiple baby pictures provided by Ridgeview teachers who are new parents. Owens has worked in Moffat County School District in multiple capacities for 18 years. In honor of Secretary’s Day, also known as Administrative Professionals Day, the Craig Daily Press stopped by schools around town to speak with some of the people who help make the wheels turn in the educational world and to say thank you to the secretaries, bookkeepers, office assistants and all who fill such roles in our schools, with each of them having their own unique story about what brought them to their jobs. Jen Darveau has been with the Moffat County School District for 14 years total, the first 10 of which were spent as a preschool teacher with the Early Childhood Center. Transferring to East four years ago was a change of pace, but being around both preschoolers and older students alike is something she enjoys. An 18-year veteran of MCSD, Cyndee Owens has spent the majority of that time at Ridgeview, working primarily as a paraprofessional in the classrooms before taking up residence in the school’s office six years ago. The students and coworkers of Ridgeview are what she most appreciates, with a number of fellow staff members becoming parents themselves lately. Tracey Haskell had been part of more than one MCSD institutions as a substitute teacher and a paraprofessional before settling in as secretary at Sandrock. Besides the conveniences of working in a school while parenting her own children, the student body of Sandrock is a crowd she loves. Working in a school building was a new experience for Debbie Montgomery when she began at Sunset last March after she worked for Mountain West Insurance & Financial Services for 12 years. It’s something she’s come to love, as a way to be closer to her children, who are currently in second and fifth grade, and working with all the kids who attend there. “Seeing the kids doing their programs here, like the Christmas program, is so great,” she said. 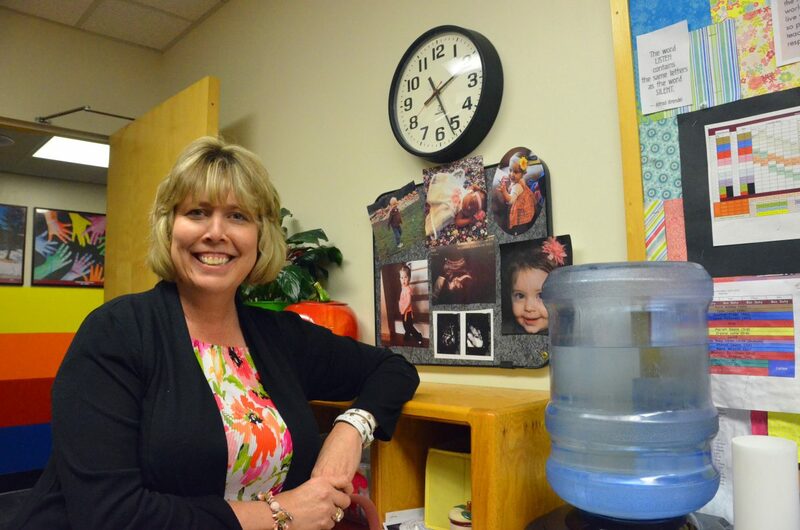 When Beth Gilchrist began as a full-time secretary for Craig Middle School in 1998 after functioning as a district-wide substitute teacher, she joined Susie Spencer in office duties and working with teens and pre-teens. Spencer has worked for the school since 1983, with its structure changed multiple times since then, originally working with fifth through eighth grade students on two separate campuses, one of which is now Sandrock Elementary. With the changes in form CMS has gone through in recent years, Gilchrist and Spencer have been both side-by-side and in different offices but always in tandem. With some school years in the past having as much as 200 kids per grade, Spencer estimated she’s seen nearly 6,000 individuals pass through the doors. “Helping the students, learning their stories, I’m learning new things every year, and I like that,” Spencer said. Gilchrist said she enjoys CMS specifically because of the age group there. “All the secretaries, we’re kind of like the mommies of the schools,” she said. Stephanie Ahlstrom began working within the athletics office at Moffat County High School three years ago, and without her, parts of MCHS sports like transportation, scheduling of officials and communications with other schools would be much more difficult. Ahlstrom said office compatriots Shelley Duzik and Stephanie Jeffcoat also make the job easier. “I love my job, I love my coworkers, and the kids here are great,” she said.